The Austin Animal Center for the first time in its history is not accepting animals surrendered by owners and the City is waiving fees to encourage the community to adopt or foster a pet this weekend. The Animal Center is over capacity by more than 100 kennels for both dogs and cats. The shelter has more than 1,000 pets available for adoption and has experienced very few adoptions over the past week. Yesterday, the Center had only six adoptions. The Austin Animal Center has reached out to all its rescue partners and organizations for assistance. Many of these groups are doing what they can, but they too are in a similar situation with a high inventory of abandoned pets. 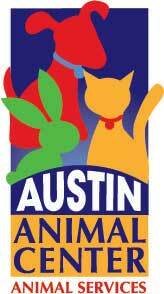 The Austin Animal Center is waiving fees on all pets through Sunday, June 9. Interested adopters can visit www.austinanimalcenter.org to view a vast array of beautiful animals ready for adoption. The Austin Animal Center is open daily 11 a.m. to 7 p.m. and this weekend, the Center will extend hours for those who call and make an appointment. If an interested adopter cannot visit the shelter during normal hours, call (512) 978-0500 to leave a message requesting an appointment and a staff person will call back. Austin Pets Alive, the City’s partner operating out of the Town Lake Animal Center will also waive fees for dogs and cats this weekend in hopes that the public will step up to help keep Austin no-kill by saving a life. Pet adoptions will take place at both the Austin Animal Center, 7201 Levander Loop and at Town Lake Animal Center, 1156 W. Cesar Chavez St. Spay or neuter surgery, a microchip and vaccinations are included in the reduced adoption fees – a value of more than $200. The center is open from 11 a.m. to 7 p.m. daily. For more information check www.austinanimalcenter.org or call 3-1-1.